Chocolate, clay and sugar: a celebration of one hundred years of freedom dancers tour. 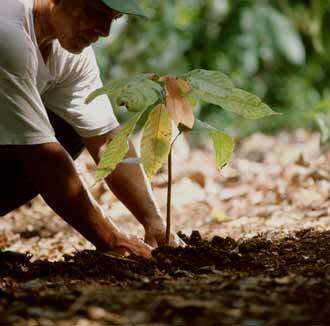 The Dominican Republic is the number one exporter of organic cocoa in the world. 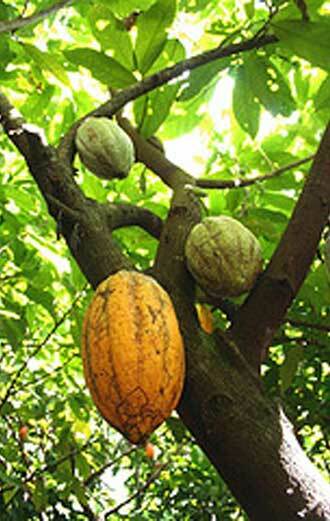 Cocoa, an indigenous product of the Americas, has been since the beginning of the European settlement of the island a commodity in the economy of this first country of the new world. 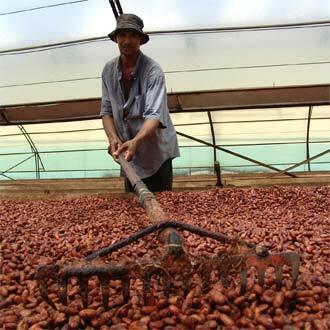 An integral part of the Dominican diet, the quality of our cocoa is part of the best chocolates in the world. 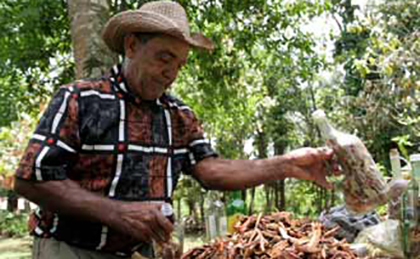 Our tour will take us to the old sugar plains of north Santo Domingo. Once part of the biggest plantation of the Caribbean, now a free spirited and cultural haven where a cluster of independent local farmers produced some of the country’s highest quality cocoa beans and are the keepers of our Taino and African heritage. 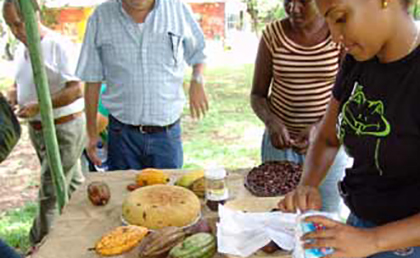 You will appreciate all stages of cocoa growing and will have the opportunity to hand pick some cocoa pods, select some beans and participate in all the steps of the process. We will visit the local plant where all independents growers come together to process their beans according to the highest standards of Fair Trade and Organic Certification. You will be introduced to all different types of cocoa and our guide will instruct you on the history of theses beans once used as currency. The trip will continue at the Guillen brothers farm/atelier where a group of chocolatiers will roast, hand grind cocoa and make chocolate for your enjoyment and will ask you to participate in the process. The lesson will conclude with a demonstration on how to enjoy a good cup of Dominican hot chocolate, casaba and homemade cornbread. A tour of the clay curing tubs, potter’s wheel shop and glowing kilns will enchant you as brothers, sisters and cousins turn red colored earth into gods and history of an indigenous past. The trip will follow with a meal cooked outdoors with your pick of meats and roots vegetables and your choice of Dominican beers and cacao wine. The tour will end with a musical festival of Dominican-African rhythms inspired by sugarcane and drums. 11:00 First stop: the town of “Yamasa”: Tour of the Cacao processing plant (CONACADO). 11:15 Driving time from Processing Plant to second stop. 11:35 Second stop: Demo cacao roasting and Chocolate tasting at The Guillen’s Farm. 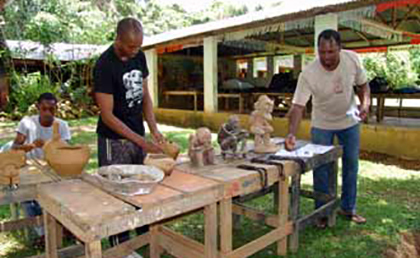 11:55 Tour of the ceramics ateliers (Ceramic Hermanos Guillen).